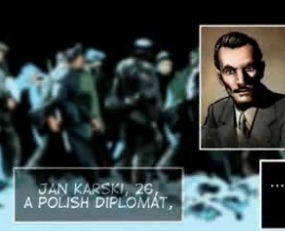 This short film about Karski, "Messenger from Hell," was narrated by the great Stan Lee (the Superhero creator and comic book legend). This film is in English and has also been translated and is being distributed in Poland. It is 11 ½ minutes long.